So now that we established that love of art is the first motivation for starting an art gallery, the second step is to find a space. Since this is a small business, fully funded by our savings, to start with, we could not afford an expensive lease. So the solution was our home basement and that didn’t sound very appealing really. Basements are dark places, covered with the dust of centuries, where things you don’t really want, hide for the rest of the eternity. All the opposite you need for an art gallery. Art needs light. Naked light. Basements are also a cluttered, chaotic department of our psyche, where air is trapped, ghosts dance and shadows remain. Lots of secrets live in these low worlds of our homes and our minds. So all in all, our basement was not exactly that welcoming and inviting. However, it had three saving graces: it was big, it had a nice curved set of stairs that sail you down and, most important, we had nowhere else to put our pictures. We persisted in the fascinating adventure of recovering the sub-world. The task of rebuilding this underworld was beautiful. Subterranean spaces are also full of divine knowledge, with clear water streams and treasures. There is also silence. Isabel Allende, Chilean writer, says that “life is a big noise between two abysmal silences”. In general, we all live in this big chaotic noisy world. “Canvas white” was the paint selection for the walls; ceiling lights were cleaned, inspected and repaired; furniture was donated and sold; clutter was removed, not hidden somewhere else, but put in the best place they could be: away. Suddenly we had a huge, beautiful, bright, quiet space, both in our house, and in our lives. Nostalgia (nóstos, “a return home”, álgos, “pain”): The painful longing for an absent home. Home is a roof under a kind piece of sky where you try to enjoy life. But I have missed colours. Still do. My backyard fence was grey, and I thought my whole life, even my thoughts were turning grey. (I corrected this by painting a mural on my fence) Not sure if my neighbours appreciated it. Without being real connoisseurs, with a very naïve approach really, we love art, as, under the same premise, we love wine. It finds you. It touches you. It enraptures you. It makes you happy. Our Venezuelan art helped the new sky, become a home. Also, we noticed, our pictures, were usually admired by our Canadian visitors and friends. This might have given us the first clue. 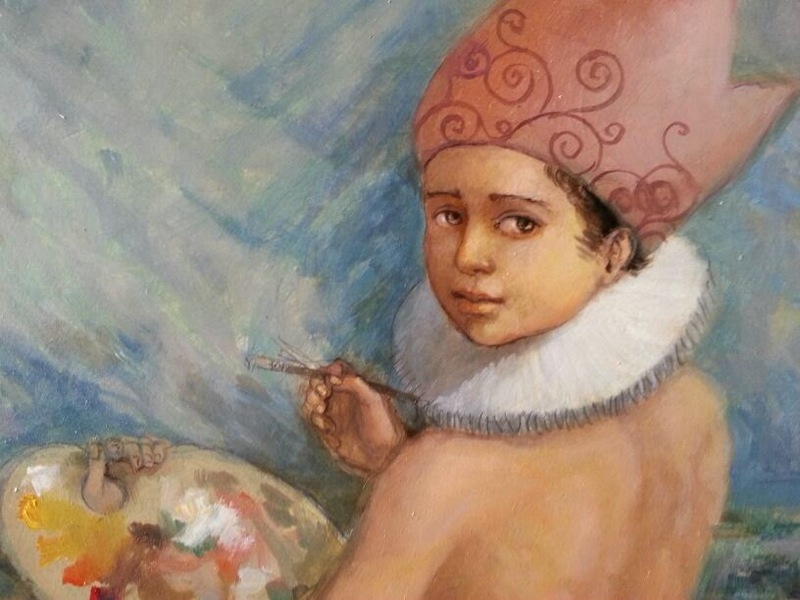 The light, theme and character of the Latin American art (Venezuelan in this case) were well appreciated in this latitude, at least in our house. We would have never thought this would become a bigger challenge: to captivate a bigger audience. Behind a new door, there is always a new uncertainty, a fascinating uncertainty. The start of an extravagance: An art gallery. In my husband’s words, “nobody regrets an extravagance”, and, also his words, worst case scenario, nothing happens, we will find ourselves with a house full of art, and a heart full happiness. 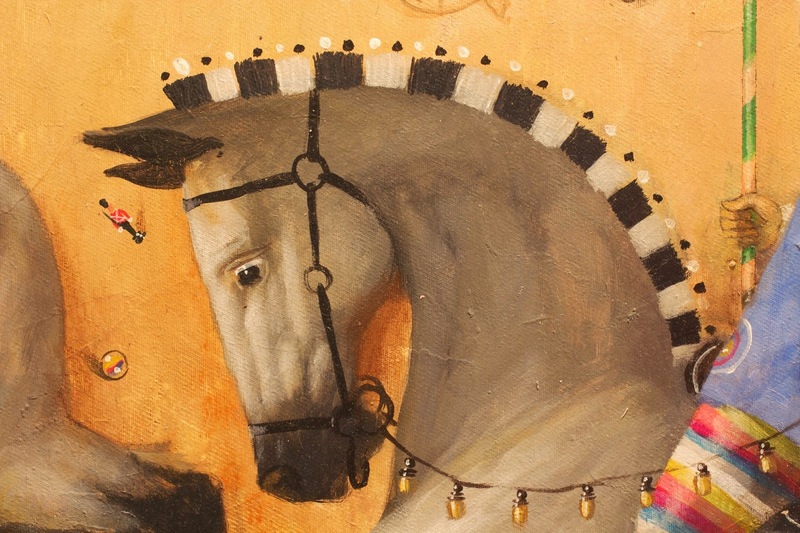 So in March 2014 we started our Latin American Art collection in Calgary. Alberta. Slowly, month after month, pictures started arriving and with each of them, a thrill, a feeling of excitement, a spark. Colour, colour, colour, so desperately needed; brushstrokes of the tropical nights; the vibrant imagery and soul of southern latitudes; childhood dreams, lost places, knocked our doors wrapped in tubes and DHL boxes. This is what we intend to share. This is how our art gallery project started. My husband and I are engineers. We have lived in Calgary, Alberta, for the last nine years. I am Venezuelan. He is English. We both worked for the Oil and Gas business for years; too many years, for my taste. I like to write, to read poetry, to play the piano and drink white wine. I also like painting, but my pictures go straight to the furnace room, or if they are lucky, to the garage. My husband likes cars, read astrophysics books, Sudoku, gin&tonic and carpentry. 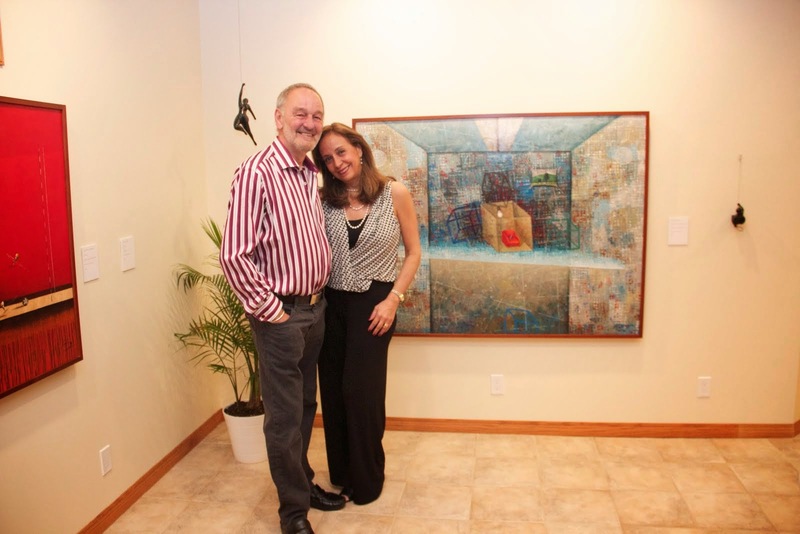 So, how is it that we ended up starting a Contemporary Latin American Art Gallery in Calgary? We are still trying to answer that question. 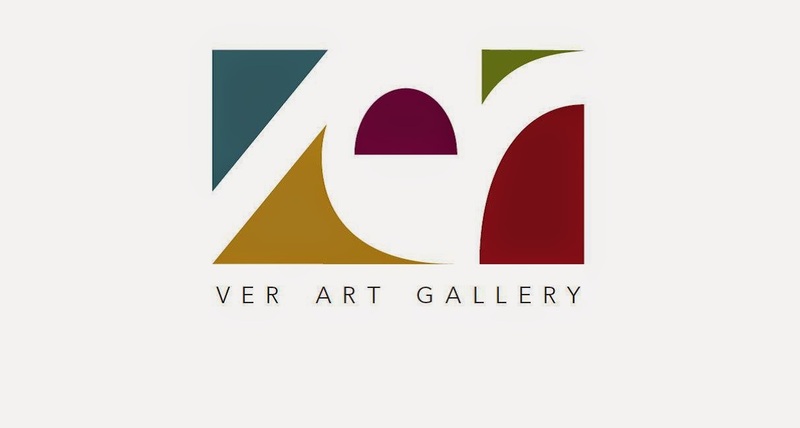 VER ART GALLERY is our new reality. Special thanks to the following people for supporting us on building the dream: for free. Sancho – Our four legged loyal friend.